After a hard rain, or several days of storms like we recently experienced, I like to examine the mulch to see what needs to be done in the gardens, right now. Is the mulch too tight? I loosen the mulch to ensure there’s excellent water and air circulation. Missing mulch? Was the mulch too lightweight for the application site? I adore pinefines, but they are apt to wash away on a slope during the rain. A heavier mulch or pinestraw would be a better option on a slope. Gullies. Even the best mulch can’t hold back a torrent of water. Sometimes river rock is a better option. 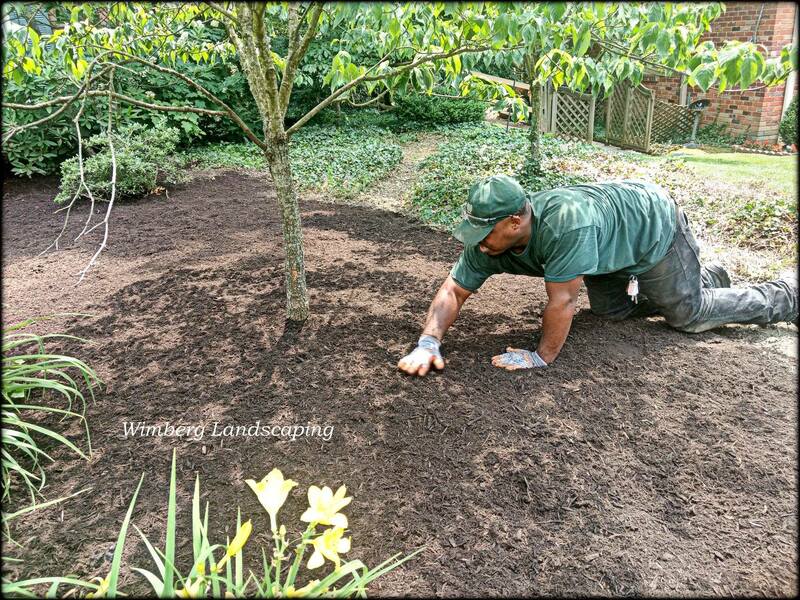 It’s far less likely to wash away, it prevents soil erosion, and when installed professionally, and with some thought, it can be a nice design element in the garden. Too Much of a Good Thing? Mulch is great, but if you are looking at your mulch after the rains and see far more mulch than plants, then it’s too much. It’s time to shift gears and invest in more plants. Ideally a garden should have a generous planting of plants and minimal mulch.